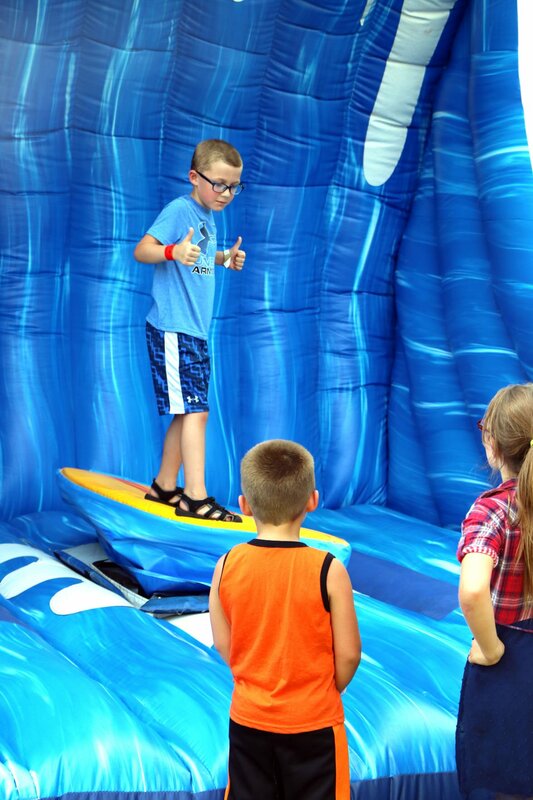 Saturday’s Freedom Festival included a multitude of new activities such as hillbilly wipeout, the kraken slide, the coconut tree climb, the mechanical bull, surf’s up, hippo chow down, pony hops, gemstone mining and yard pond, bingo, Family Feud and more. A total of 2,100 people attended the annual, according to St. Clair Park Board President Dana Collins-Messex. She said that number equaled to the amount of wristbands handed out.